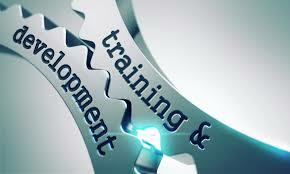 There are many different training and development methods. On-the-job training, informal training, classroom training, internal training courses, external training courses, on-the-job coaching, life-coaching, mentoring, training assignments and tasks, skills training, product training, technical training, behavioral development training, role-playing and role-play games and exercises, attitudinal training and development, accredited training and learning, distance learning - all part of the training menu, available to use and apply according to individual training needs and organisational training needs. Training is also available far beyond and outside the classroom. More importantly, training - or learning, to look at it from the trainee's view - is anything offering learning and developmental experience. Training and learning development includes aspects such as: ethics and morality; attitude and behaviour; leadership and determination, as well as skills and knowledge. Development isn't restricted to training - it's anything that helps a person to grow, in ability, skills, confidence, tolerance, commitment, initiative, inter-personal skills, understanding, self-control, motivation (see the motivation theory section), and more. If you consider the attributes of really effective people, be they leaders, managers, operators, technicians; any role at all, the important qualities which make good performers special are likely to be attitudinal. Skills and knowledge, and the processes available to people, are no great advantage. What makes people effective and valuable to any organization is their attitude.